This set of Alterations Textured Fades Embossing Folders showcases the bold and edgy style of Tim Holtz®. It contains one A2 large folder, measuring 5 3/4" x 4 1/2" x 1/8", and three A2 border folders, each measuring 5 3/4" x 1 1/2" x 1/8". Texture Fades Embossing Folders are for use with the Texture Boutique, BIGkick, Big Shot and Vagabond machines only (used with a pair of Cutting Pads and the machine's included Platform). 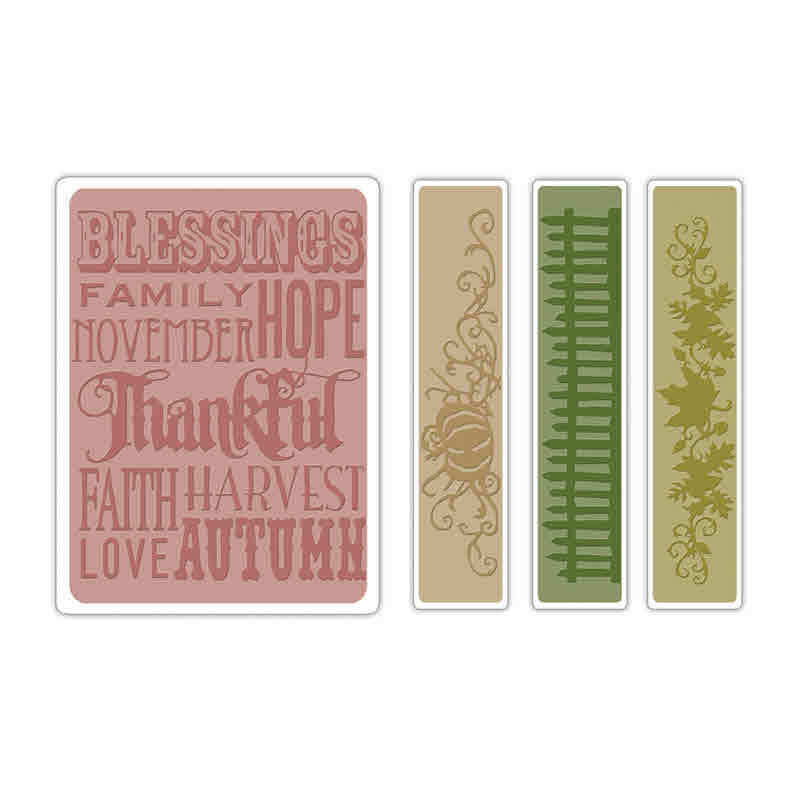 This Texture Fades Embossing Folders Set includes these four folder designs: Pumpkin Vine (A2 Border); Rickety Fence (A2 Border); Leaf Garland (A2 Border); Thankful Print (A2 Large).